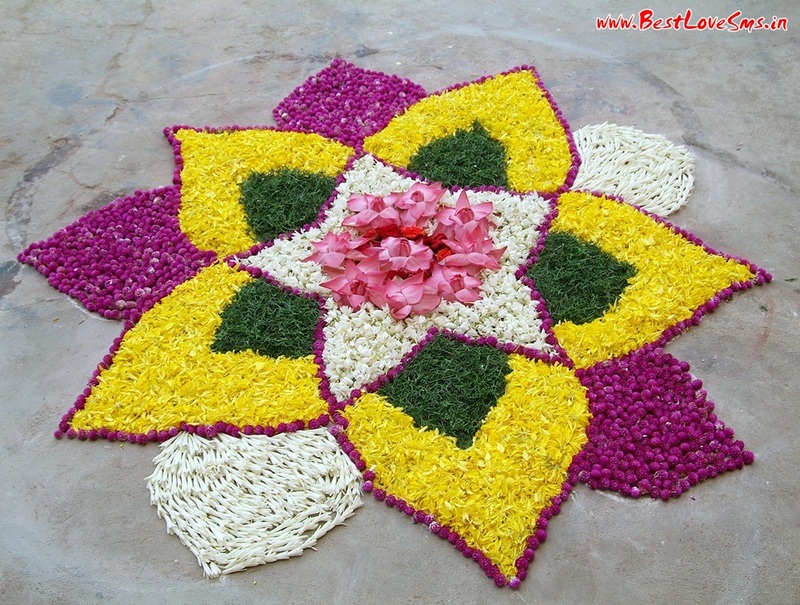 In this section, we are presenting the best collection of Beautiful Rangoli Designs with Flowers Patterns. 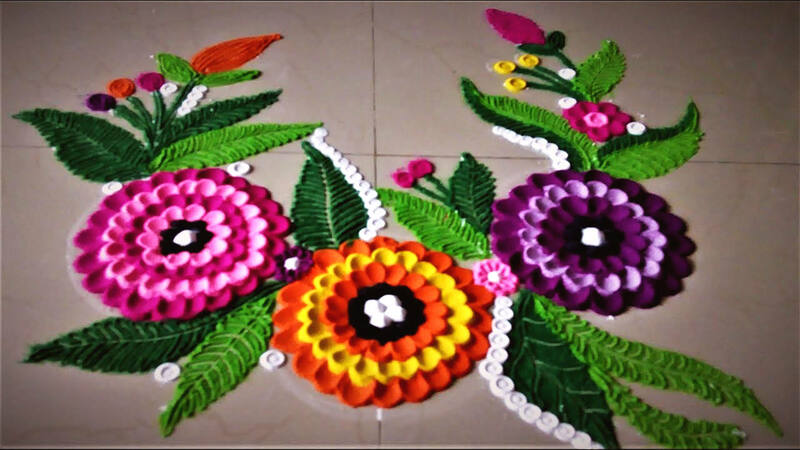 Rangoli designs with flowers are one most popular choices among women for celebrating any occasion of joy. 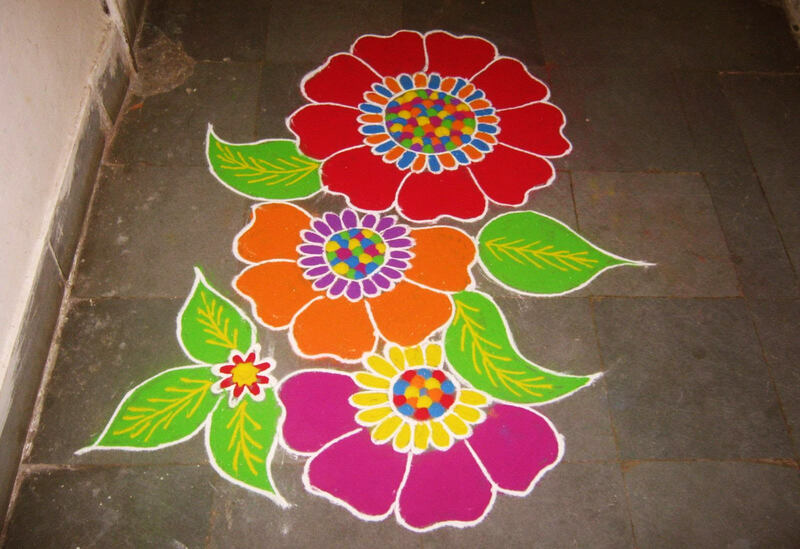 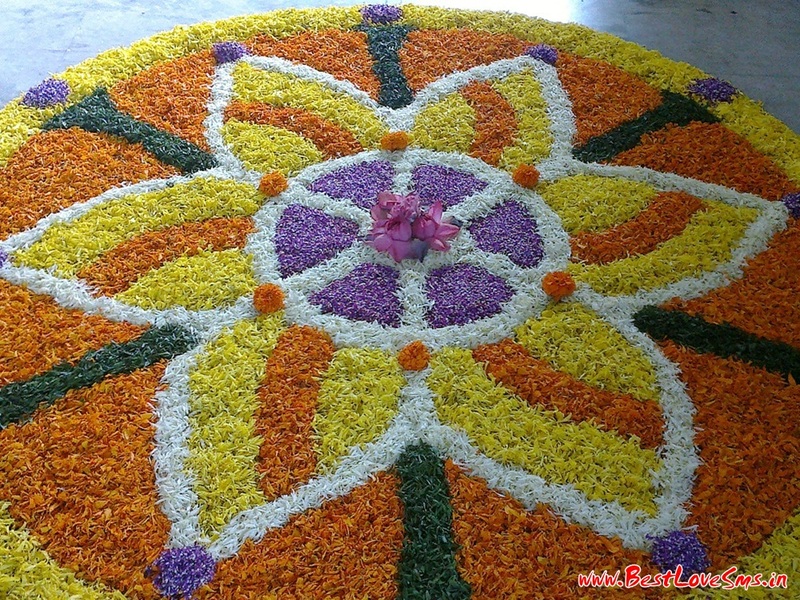 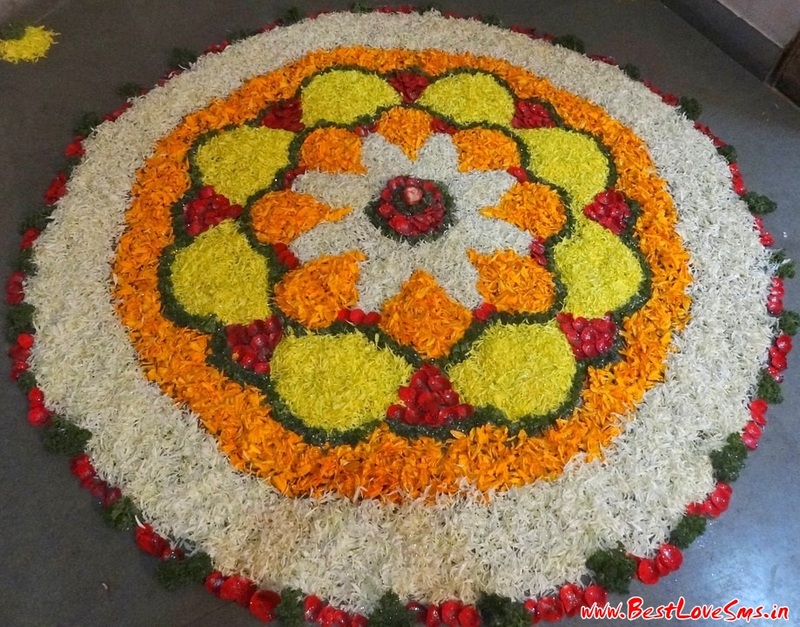 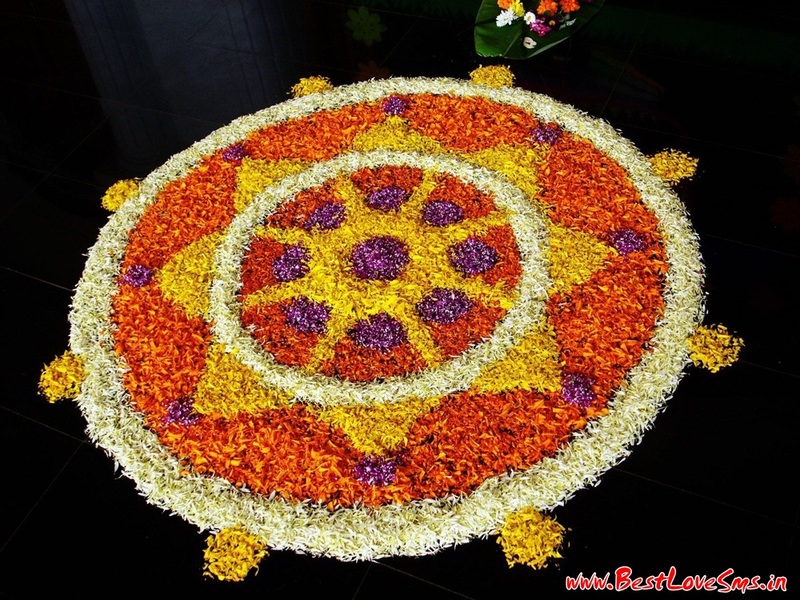 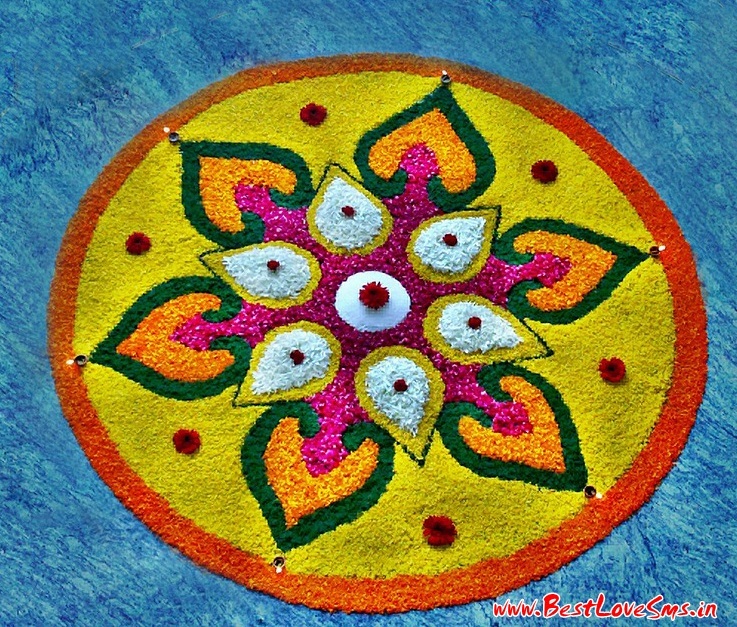 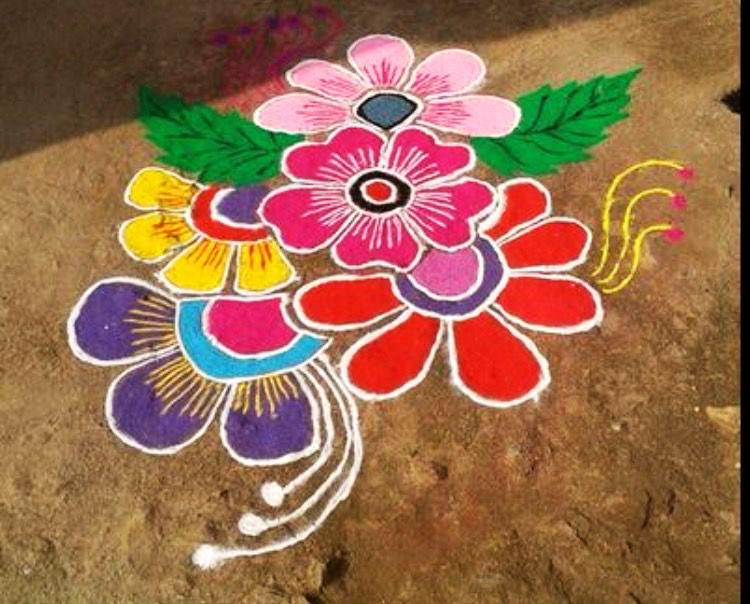 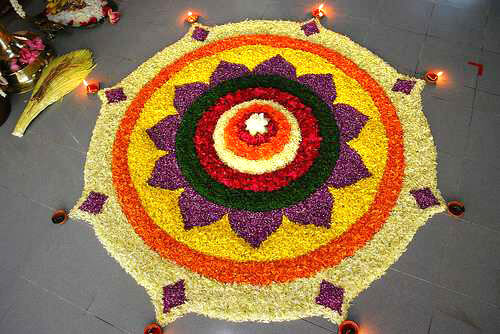 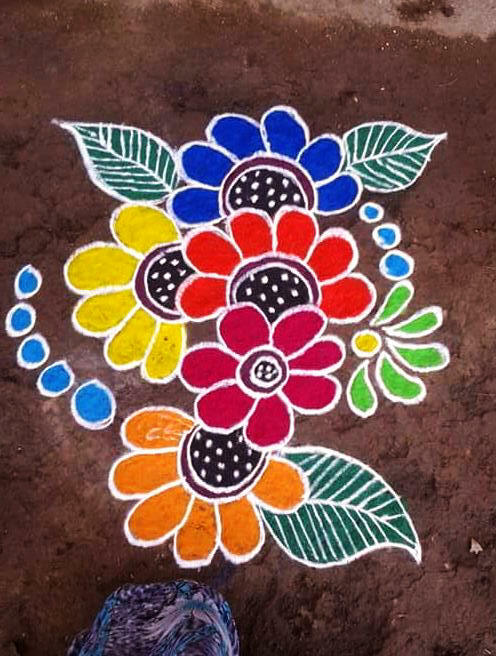 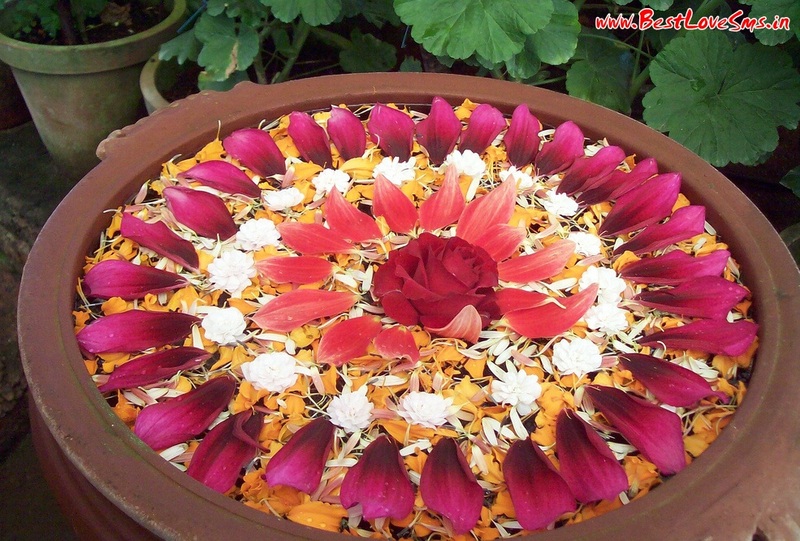 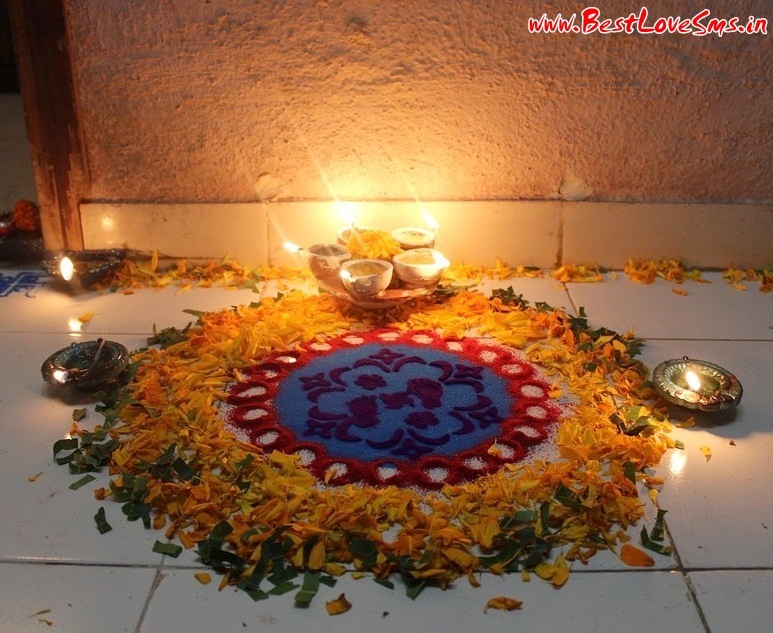 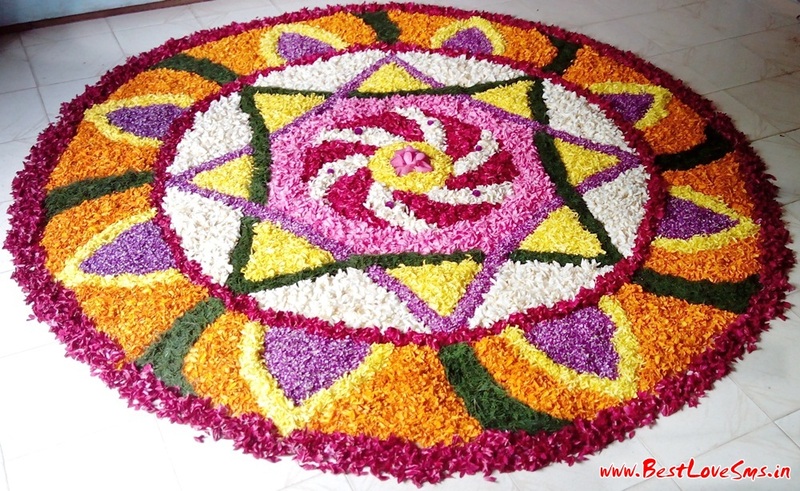 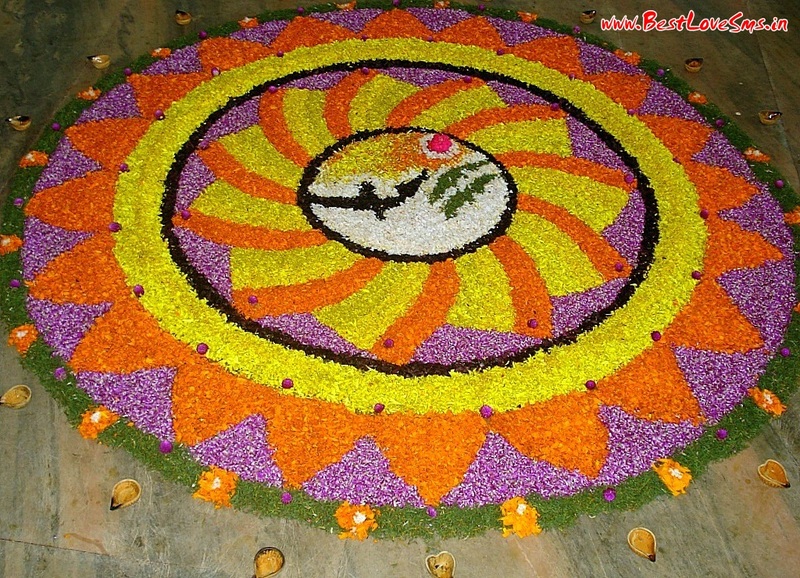 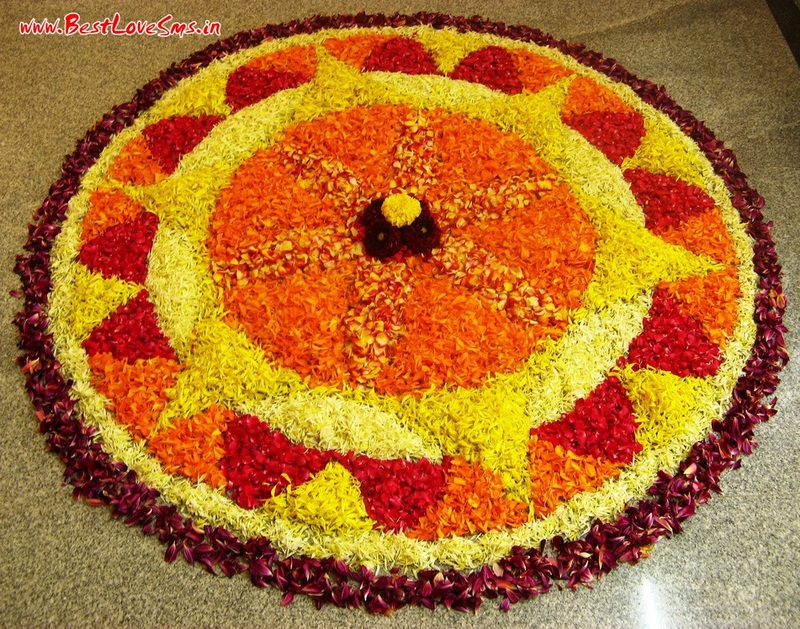 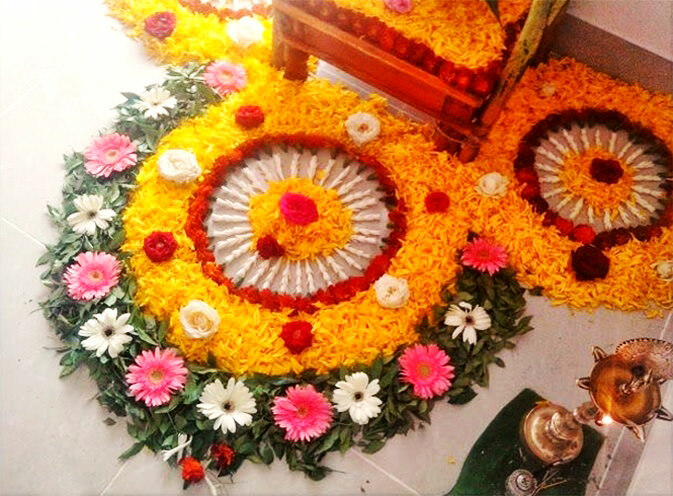 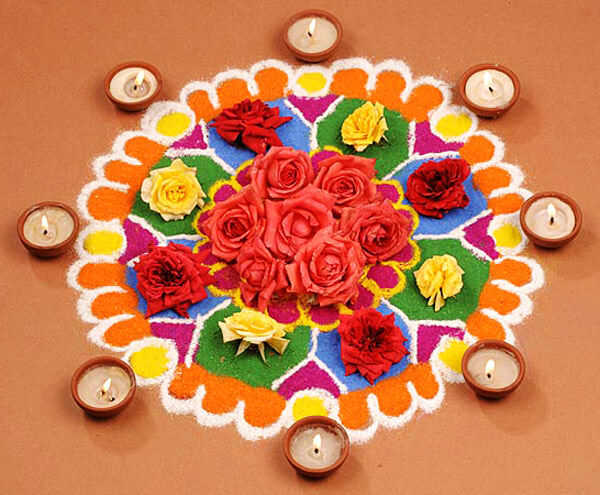 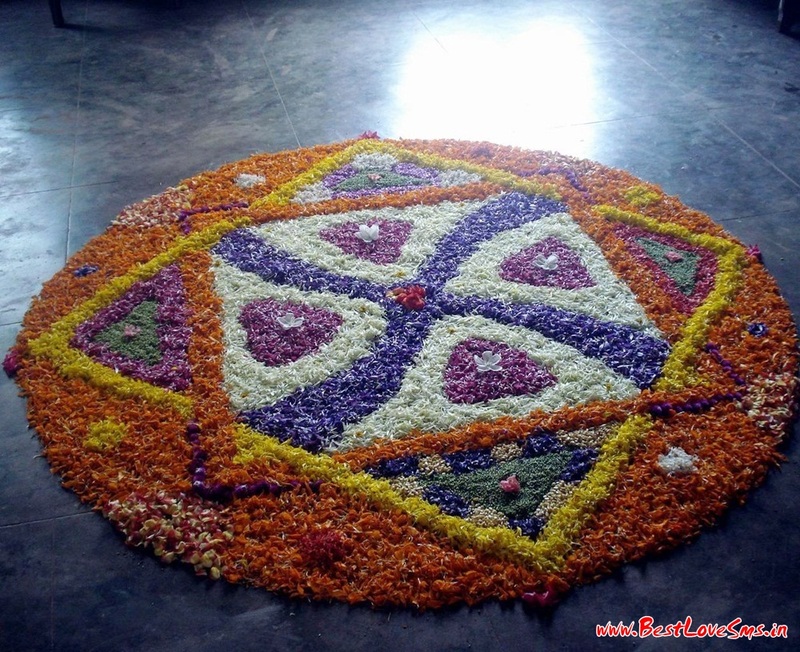 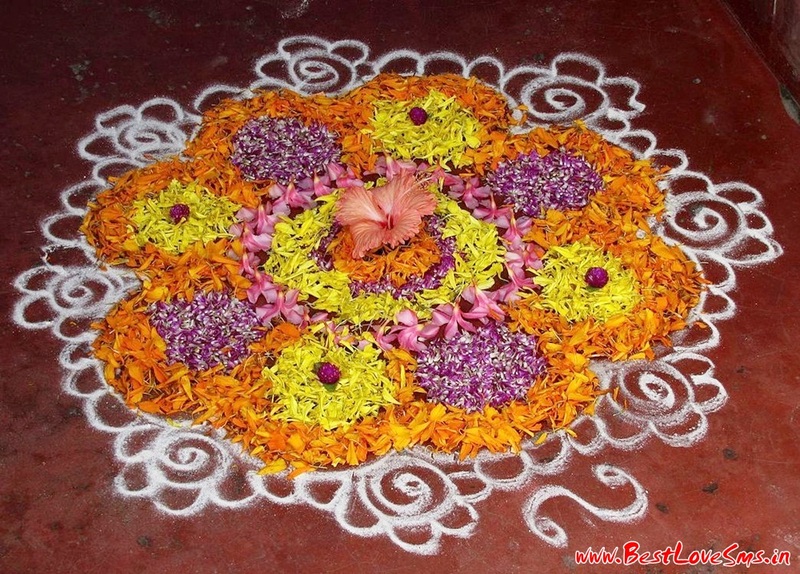 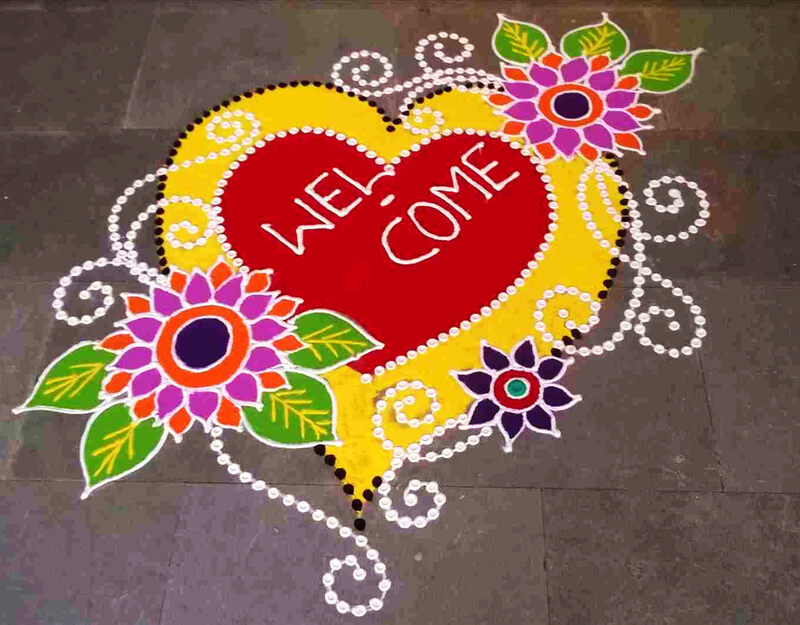 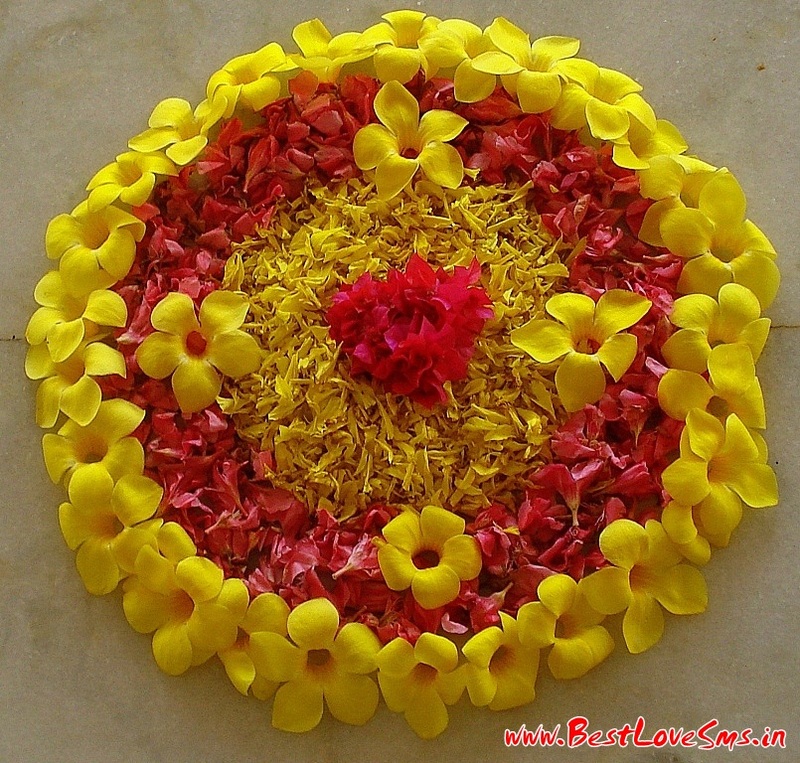 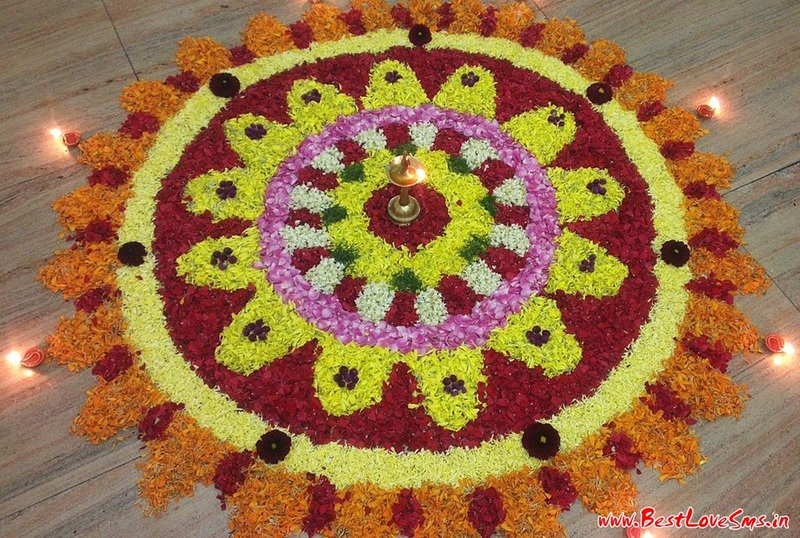 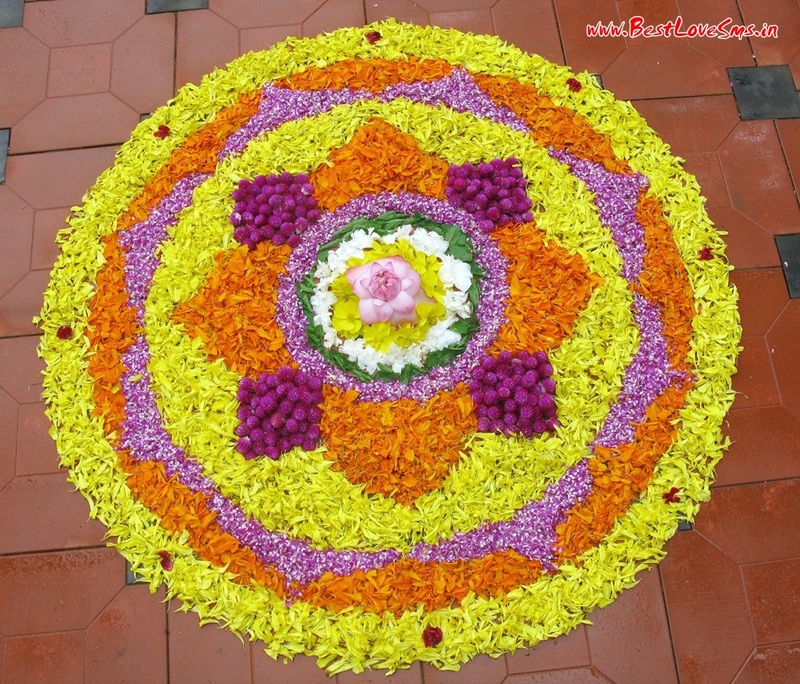 Flower rangoli is generally made during Hindu festivals like Onam, Pongal, Diwali and Durga pooja etc. 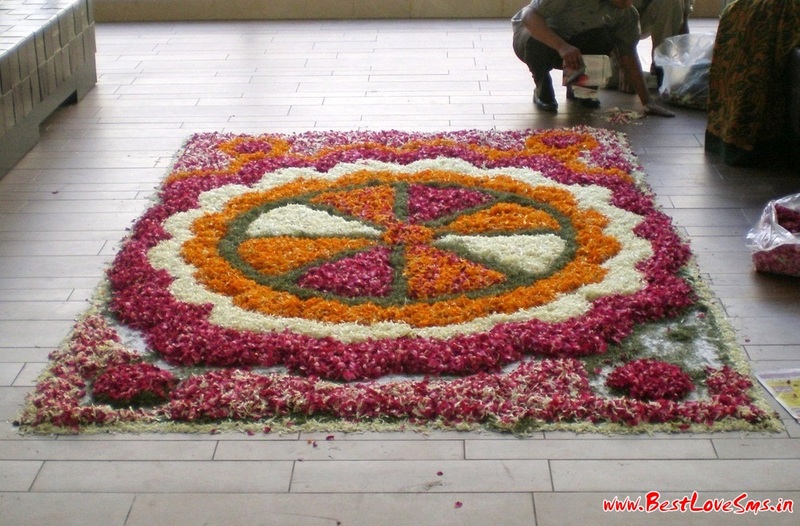 The most common flowers used in Flower rangolis are daisies, roses and marigolds. 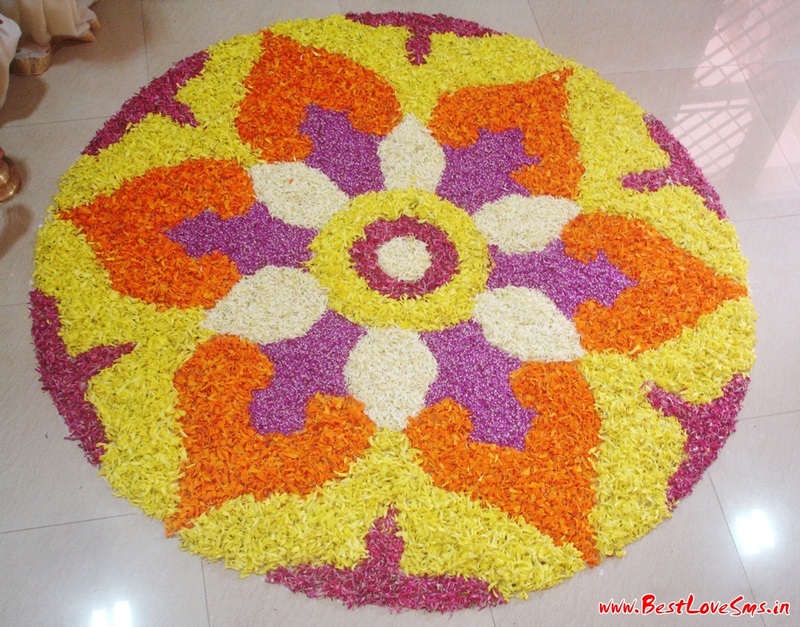 Not just flowers but leaves are used in flower Rangoli too. 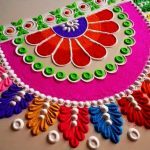 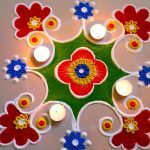 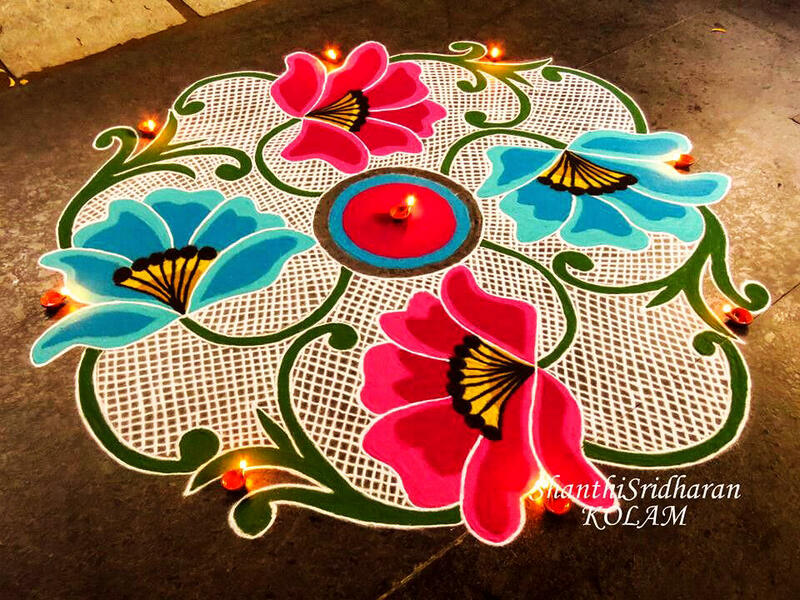 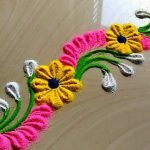 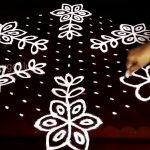 Flower rangoli is something we all love and since it’s very popular across the country, Here in this article we have selected some best Flower Rangoli Designs which you can use for ready reference the next time you are drawing one. 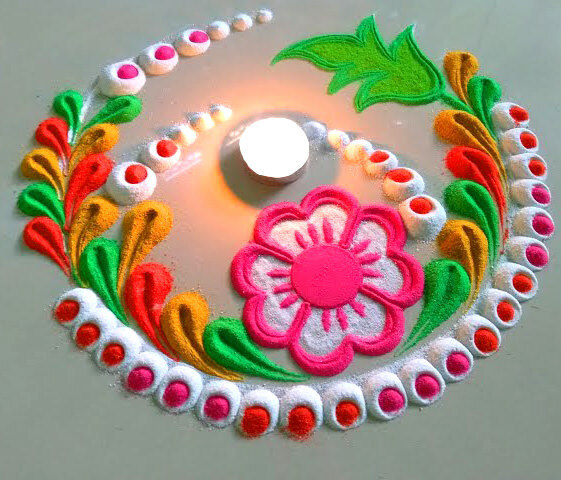 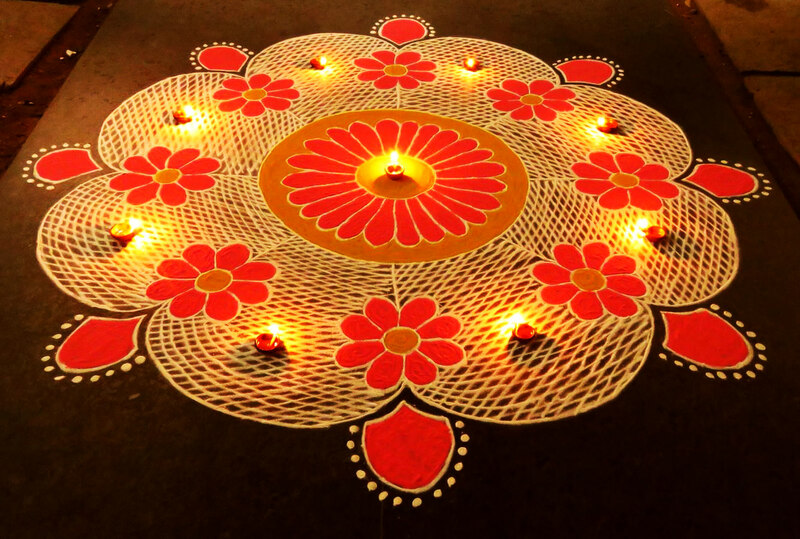 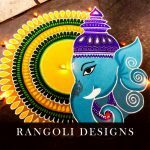 Here we’ve added Beautiful Flower Rangoli Designs for Diwali with Diyas, Latest Flower Rangoli Patterns, Simple & Easy Flowers Rangoli for Kids & Children, Attractive Rangoli with Flowers for Competitions and many more.